Amidst high pitch demand of Congress for greater share of seats in upcoming Lok Sabha election, Rashtrya Janta Dal appears to be treading carefully. Understandably, in its previous alliance, RJD had to eat the humble pie of being thrown out of Bihar Government when Nitish Kumar switched over to NDA, after running the grand alliance government for nearly 20 months. One of the reasons that JDU could ditch RJD was the latter's generous ticket distribution to its alliance partners in 2015 assembly election. Lalu Yadav's party, despite having upper hand, fought on 101 seats, same as the JDU while Congress fought on 41 seats, in total 243 assembly constituencies of the state ( RJD won 80, JDU 71 and Congress 27). The success rate of RJD was much better than Nitish Kumar party. When asked to shed light on the issue a political analyst said, “Had RJD fought twenty to thirty more seats; the story could have been different. Who knows, RJD would have been still running the Bihar government with the help of Congress, or for that matter, JDU wouldn’t have opted to break the alliance,”, he added. Although the suggestion sounds speculative, it offers a clue to the RJD think thanks’ careful approach in the seat sharing deal this time. Contrary to its eagerness to once again get hold in the state, Congress is bereft of any influential social group backing. This results in lack of defined mass base. Moreover, even if party convinces RJD to get more seats, arranging winnable candidates would be a huge challenge. The high probability of Musclemen like Madhepura M.P. Pappu Yadav and Former J.D.U. MLA Anant Singh joining its ranks shows the Congress party's desperation to rope in caste leaders. Lovely Anand, the wife of jailed strongman Anand Mohan Singh has also joined Congress recently. On the other hand, RJD knows very well that the Congress could dent its base, especially, among minority and backward castes that had before 1989 being voting for the Grand Old Party. But some other analysts are of the view that the RJD may yield some grounds to the Congress and leave some more seats in coming Lok Sabha election. The party is aware that unlike in the past, the Congress is genuinely emerging as a force. The real problem for RJD will come in the next year assembly election as giving more concession to the Congress may harm it in the long run. But RJD till now has an advantage. It still has a proven mass base and a Chief Ministerial Candidate like Tejashawi Parsad Yadav. 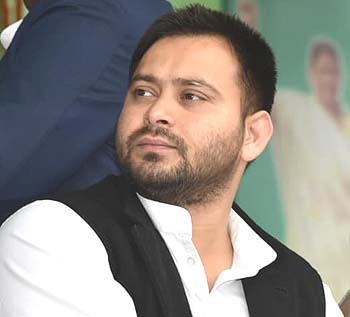 “It can be argued that Tejashwi is a political greenhorn but the leader of opposition in Bihar assembly has proved his mettle on several occasions. On the other hand, Congress has no such personality. Besides, no one can deny the sympathy factor which can work in favor of RJD after the conviction of Lalu Yadav" said a Bihar watcher. Thus, a resurgent Congress may succeed in getting more Lok Sabha tickets but, given the JDU’s experience of 2017, RJD may not leave too many seats for the next year assembly election.